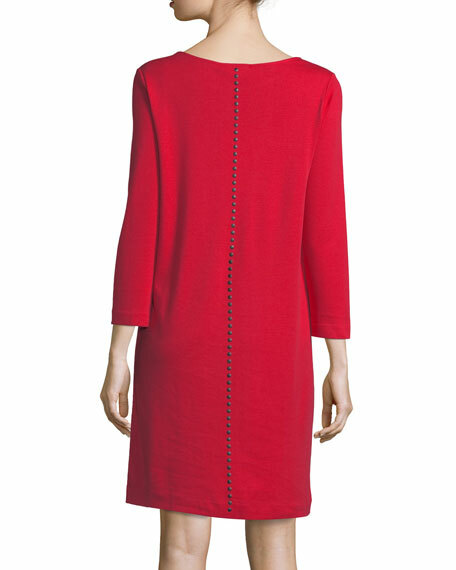 Joan Vass interlock-knit dress with matte studded trim. 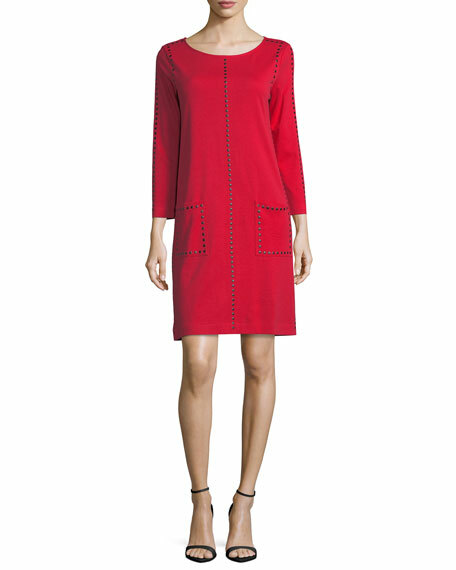 Matte studded trim down center front and back, shoulders, and pockets. For in-store inquiries, use sku #1829292.